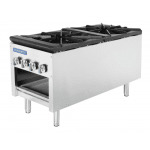 The Turbo Air TASP-18-D stock pot range has two three-ring burners individually controlled by two knobs. The 18-inch-by-21-inch, heavy-duty, cast-iron grates are removable for cleaning. 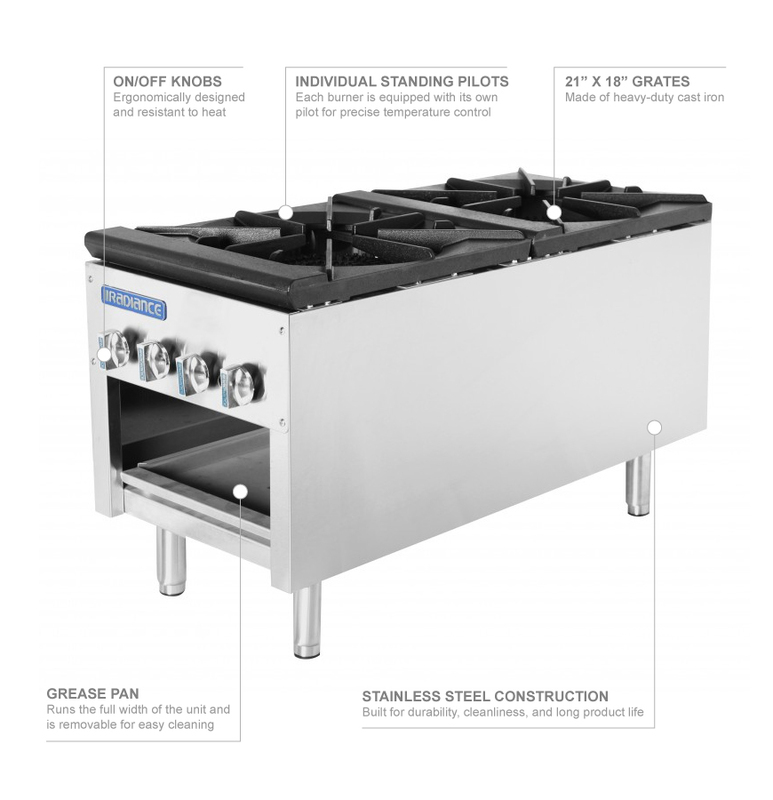 To further simplify the cleanup process, the removable grease pan collects liquid. A user-friendly on/off knob resists heat to protect the user from burns, and there is a storage base on this Turbo Air TASP-18-D stock pot range for storing ladles, spoons, spatulas, and pot holders. It has a heavy-duty, corrosion-resistant stainless steel front and sides and is elevated off the counter with 6-inch legs.